Click here to find parent resources and ways to get involved in your child's education! Welcome to St. Regis Catholic School! 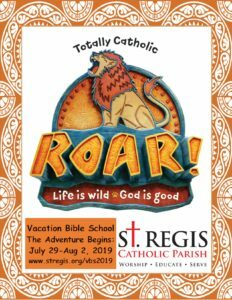 Thank you for your interest in St. Regis Catholic School. Our mission calls us to Respect others, Educate ourselves, Give of our talents, Inspire all who enter and Support the Catholic church and community, and build disciples of Christ. It is our responsibility to provide students opportunities for spiritual growth and enhancement of Christian values so that each may pursue a life centered in Jesus Christ. Our teachers are committed to offering each student the opportunity to grow to his or her highest potential. The curriculum offers students ample opportunities for heightened success and self- esteem. We are proud of all our students’ accomplishments. 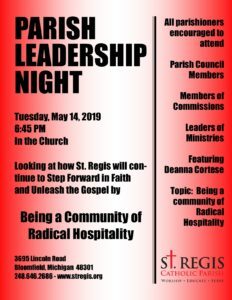 The St. Regis team, parents, and parish community share a common vision. High quality classroom instruction, students who are highly motivated to learn, a warm and nurturing learning environment, and a supportive and encouraging parent community make St. Regis Catholic School a wonderful place to learn. We teach children the necessary skills to succeed in high school and beyond, and to become loving members of the Catholic Church. What parents value defines what is important to their children. When you value faith and education, so will your children. It is our great privilege and joy to teach our students. 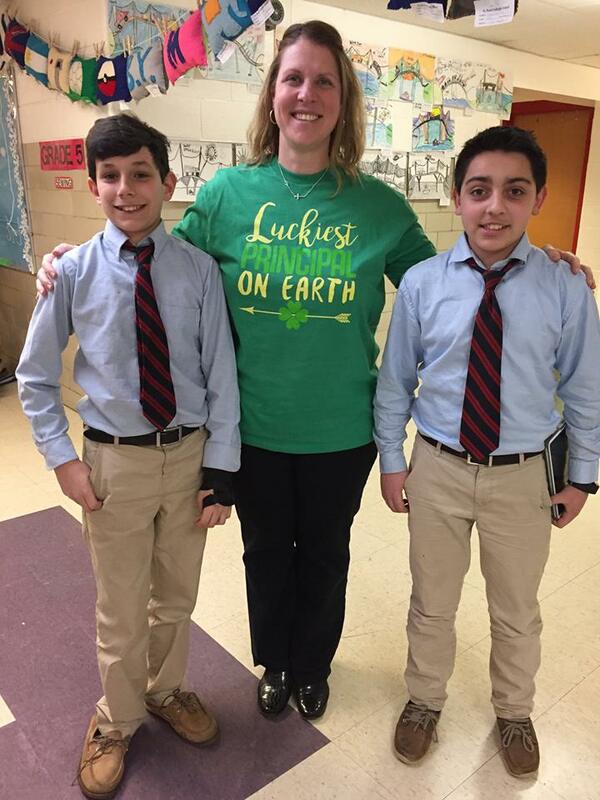 We teach in a Catholic school because we love the children and God. Our mission to educate and serve is always for the greater glory of God. Can’t wait to see you in the hallways! Welcome to the Raider Family! 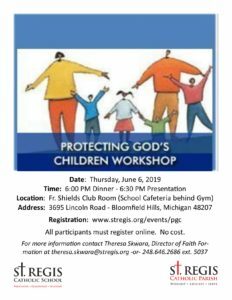 There are several ways to obtain more information about St. Regis Catholic School. 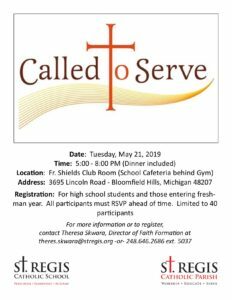 Call the school at 248-724-3377. Take a personal tour. Contact our Admission Director Karen Terzich, karen.terzich@stregis.org for more information. 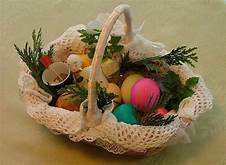 Blessing of Easter Food will take place at 11:00 AM in the Church. 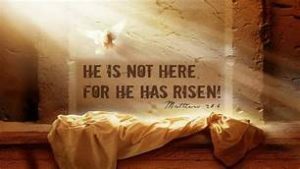 Easter Sunday Masses will take place at 8:00 am, 10:00 am, and 12 noon.